Introducing the 3d printed TRINKET Platter « Adafruit Industries – Makers, hackers, artists, designers and engineers! Introducing the Trinket Platter @ Netninja. 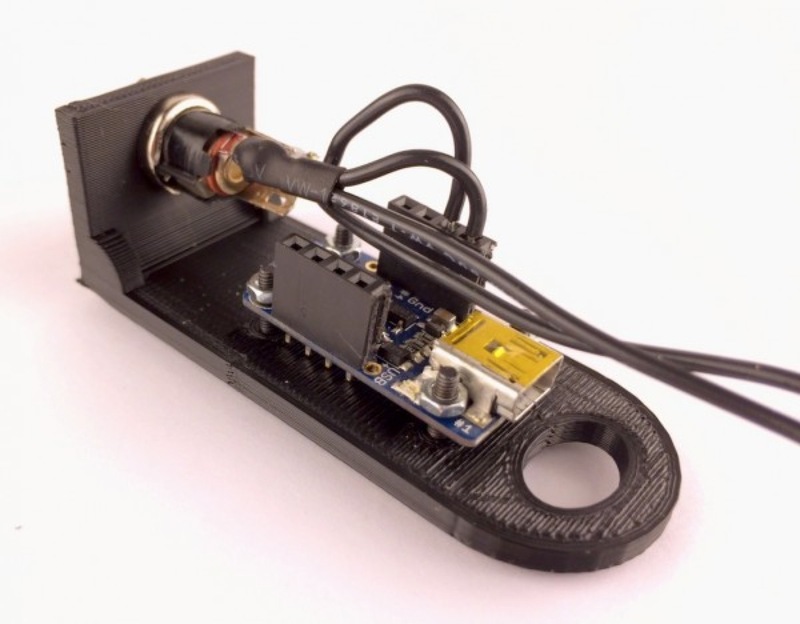 I thought I would point you to a 3D model I designed and printed for mounting a Trinket and a DC power jack together. It also has a point for zip-tying any loose wires. My particular usage is for placing the Trinket on my desk and connecting it to power as well as some lights and buttons. I didn’t want it to slide around too much and or put too much stress on the connections. A full enclosure felt like overkill, plus it’s more fun when people can see the parts. It can also work as a good prototyping board. Because Open Source rocks, the STL file and OpenSCAD source are available on GitHub.